Zacuto Canon C200 vs. Panasonic EVA1 Shootout: The Results are In! Camera comparison tests are difficult to do and also take a lot of time, effort, knowledge, experience and resources to pull off properly. And to make matters ever more difficult, it’s not that there is one specific “set in stone” way of testing an image coming out of Camera A and Camera B… this is why I’ve always been grateful for the hard work Zacuto put into their massive Shootout tests, and commend them for the effort, that sadly aren’t always fully appreciated by the filmmaking community. 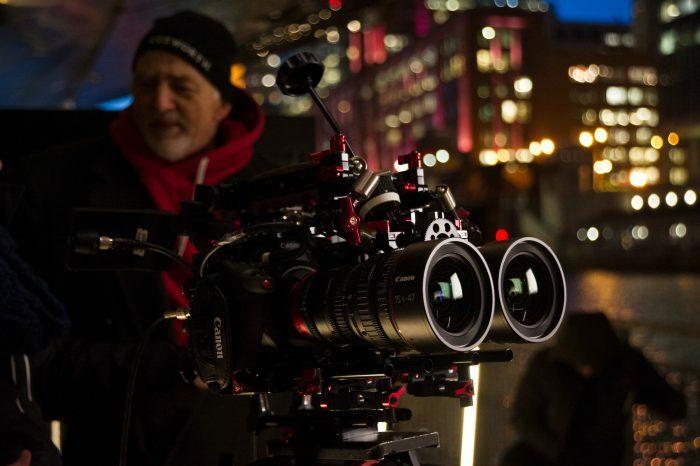 It has been a while since they’ve done a big one, but last Tuesday, Zacuto made a return to “shootout” tests with a Canon C200 vs Panasonic EVA1 shootout, carried out by Bruce Logan, ASC. I am sure many of you were watching the Zacuto C200 vs EVA1 Shootout live on the Zacuto Facebook page, but in case you missed it you can catch up via the link below. Even though the Panasonic EVA1 wasn’t Raw-ready at the time of testing and the C200 does record Raw internally, overall the test, for better or for worse, showed my that the EVA1’s (at the time) Long GOP codec in .MOV wrapper performed really well even against the C200’s compressed raw. As a C300 Mark II owner, I am not too invested into any of these two cameras, as it will be a while before I’d be looking to replace or add another S35 camera to my arsenal, but for those torn between the C200 and the EVA1 the “shootout” does have value. I’d say that maybe it wasn’t as comprehensive as I’d like it to be (again, I understand these things take a lot of time and resources to do, so who am I to criticise, but again, after all this is my opinion). I would have preferred to see an AF test, as the Canon C200 has Canon’s industry benchmark autofocus and I am sure it would have outperformed the EVA1 in this department easily. With no real winner, or loser, I am guessing they didn’t really go that route out of courtesy to the Panasonic and Canon reps, which were present with the Zacuto boys and Bruce Logan in the same studio, so I get that. However for some reason, I found the C200 raw images were way too crushed in the blacks and to me didn’t really represent the true potential of this camera. I wanted to also see a few more tests such as heavily backlit exteriors and maybe a few more low-light tests. Overall, I think that it comes down to your preference – both the C200 and EVA1 are capable of stunning images, the EVA1 has a strong 10bit internal codec (and with upcoming Firmware 2.0 it gets the 4K Intra codec), while the C200 is a bit of a “schizo” with either a really robust (but massive) Cinema Raw light 12bit codec or a dumbed-down, “non-broadcast” compliant 8bit 420 codec for the web (which is a damn shame). It has however, a killer DPAF system that owns pretty much all cameras in its range, but to some of you maybe that’s not so important. If I was buying a camera again (and hadn’t bought the C300 II) I’d probably go for the C200, because it ticks all the major boxes for me – Great image quality (Raw), DPAF, EF mount, compact form factor and reasonable price. Zacuto and B&H have a list of great deals (that expire on March 20th) for all you “shootout” viewers – click the link here to check them out. I’d love to hear (read) what your thoughts are on the Zacuto Shootout in the comments below.